Haunting, dreamlike, at turns hilarious and disturbing—My Winnipeg may not be for everyone, but then again, what is? I first saw Guy Maddin's mind-expanding, infuriating, genre-bending documentary at the 2009 Roger Ebert Overlooked Film Festival in Champaign, Illinois. It was my favorite film of that year's festival, a festival entirely comprised of great films. Ebert ranked My Winnipeg as one of the ten best films of the decade. "All killer—no filler" might have been the motto of his festival back then. I recently re-watched My Winnipeg on the beautiful new Criterion Collection Blu-ray disc and babies, this film is one of the most unusual ever made. In its initial release, Maddin toured with it, performing the voice-over narration live every night in front of the screen. Do you seek the new and unique? You should definitely seek out My Winnipeg. Do you like movies that rely on the tired old tropes of "reality-based stories" or "relatable characters" or "protagonists that don't keep referring to their mothers' crotches"? Then this film may not be for you. • Maddin relates an anecdote about an annual citywide scavenger hunt sponsored by the Canadian Pacific Railway. First prize: a one-way ticket out of town. • We learn that Winnipeg is the sleepwalking capital of the world. Sleepwalkers carry keys to their old homes, and by law must be allowed to stay there if they should happen to return. • Maddin leases his childhood home and hires actors to re-enact key events from his childhood. 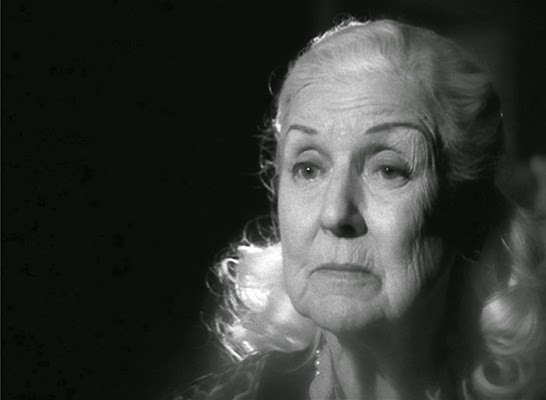 Ann Savage, a popular Canadian television actress, plays Maddin's unforgiving mother. If half of what is presented in this section is true, Maddin had a very difficult childhood. These are some of the film's most surreal scenes. Believe me, these few snippets only scratch the (snowy) surface of the film. Writer/director Maddin's signature style in My Winnipeg combines dense, expressionistic imagery; a blurring of the line between found footage and re-creation; and an editing rhythm that sometimes becomes an assault on the senses. David Lynch once famously summarized his film Eraserhead as "a dream of dark and disturbing things." So too is Maddin's film—with an emphasis on dreams. 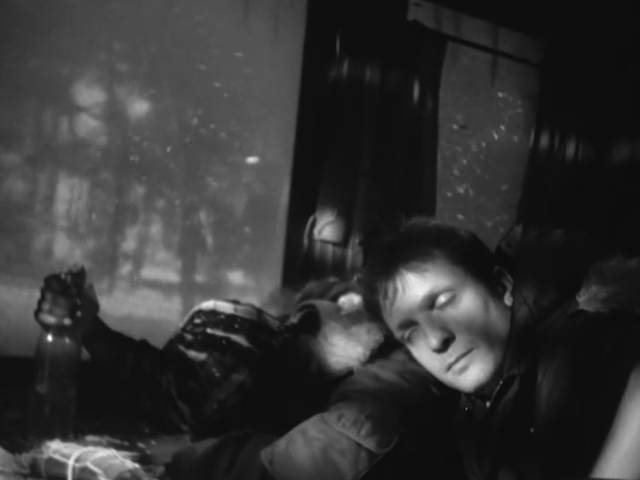 A recurring image is that of Maddin (actually an actor playing Maddin) falling asleep on a train bound for Winnipeg, with narration that takes the tone of an incantation or spell, like haunting memories half-remembered in a half-conscious state. Maddin's film owes something to the dense, impenetrable quality of Lynch's best work, but not quite. There is a sense of humor present in My Winnipeg that carries it a world away from Lynch's ironic detachment. "The forks" is another oft-repeated mantra in the film; the phrase describes both the Y junction of the two rivers that fostered the town's founding and the juncture of Maddin's mother's legs from whence the filmmaker himself sprang. During the course of the film this mantra morphs into "the forks beneath the forks," calling to mind both a fabled local underground tributary, but also the emotional truth that lies beneath all of the supposed facts My Winnipeg purports to reveal. Did I mention that it's also funny? The personal essay film, as a genre, is becoming increasingly rare. 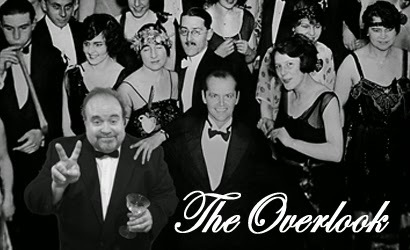 Like Orson Welles's F For Fake, Michael Moore's documentaries, and Errol Morris's best work, My Winnipeg seeks to uncover a truth beyond the truth—the secret history of everything denied by conventional wisdom but whispered about conspiratorially between friends. In My Winnipeg, Maddin treats the viewer as a friend and confidant, someone with whom he can share a beer and talk in hushed tones about "the forks beneath the forks." For much of its running time, My Winnipeg resembles poetry more than cinema. The moody, evocative narration is rich with subtext, metaphor, and euphemism (Maddin announces at one point in the film that "everything that happens in [Winnipeg] is a euphemism.") 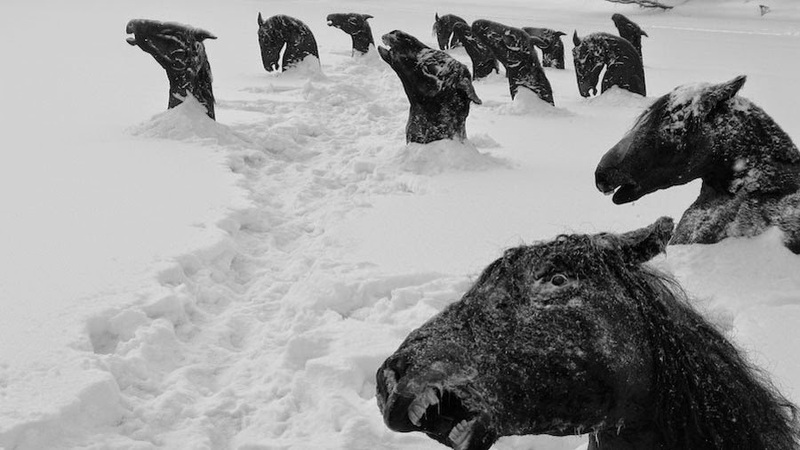 The bizarre, sometimes nightmarish, iconography that Maddin uses to visually represent Winnipeg takes on the imagistic sweep of an epic poem; dream melds with reality, idea manifests as image, and the storyteller is at once friend, magician, and psychiatric patient. CONCLUSION: My Winnipeg is one of the god-damnedest things ever made. It defies description (although I've just spent 870 words trying my best.) In the end, writing about this film... is like dancing about architecture. The forks... and the forks beneath the forks... are worth a visit, my little sleepwalking babies. My Winnipeg is now available on Criterion Collection DVD and Blu-ray. 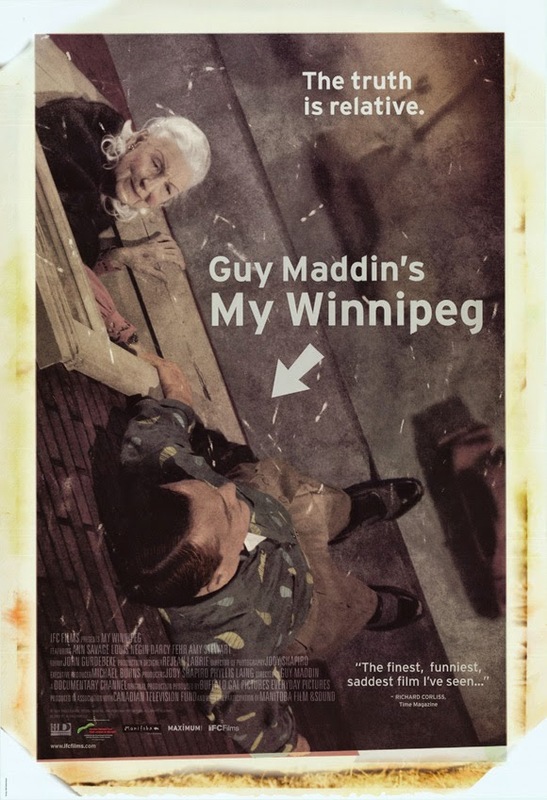 "My Winnipeg" was the first Maddin movie I saw back in 2010, when IFC showed it. It blew my mind and I've been chasing that dragon ever since, but no other Maddin movie I've seen has come close except "The Saddest Music in the World" (starring David Lynch's muse Isabella Rossellini). I love that Maddin seems influenced by a million different things and sources, but one of the strongest and most recurring is the visual aesthetics of silent era Russian cinema. There's an Eisenstein formalism to the way Maddin frames shots, which he then proceeds to diffuse (chemically?) to make the pictures glow and seem, I don't know, realistic but dreamy. Nobody does movies like Maddin, but even in some of his better shorts (which are worth seeing, as his particular style of cinema works better in short doses than in theatrical length) he falls below the high bar he set for himself with "My Winnipeg." It's one of my most wanted Criterion titles when this year's Barnes & Noble 50% off sale comes up. "Tales from the Gimli Hospital" is still my favorite Maddin film (and first I saw of his), followed by "Cowards Bend at the Knee" and "Brand on the Brain". I need to revisit "My Winnipeg" after reading your thoughts because when I first saw it, I remember being really bored for some reason. Nice that you mention "F For Fake" - that's in my top three documentaries of all time. I love that film. Ugh...Correction - "Cowards Bend the Knee" and "Brand Upon the Brain"
Cheers JB, perfectly holds well with the Overlooked category as I have not heard of this, how can I not be interested with that description? Seconded Dennis, this sounds aweesome. Added to the queue. Thanks JB! I love My Winnipeg but I am constantly baffled by at how it is labelled a documentary. Very little in the film is 'true' in the conventional sense with much of it being openly (and parts not openly) fictionalized and dramatized. Maybe this is just a function of insufficient genre categories but it does seem like a mislabel. Also Id like to thank you guys for consistently championing Canadian films. I live up here and trust me, you guys give them more attention than our own media outlets do. Oh, and i think this film makes a really interesting companion piece to Stories We Tell. Both films embrace the subjective in very different ways. Well, some of it is true. I was surprised to learn that the "What If" Day segment (one of the funniest in the film) was TRUE. Yes, If Day was true and so are other sections but less in the film is true than say your average biopic. But it does present it self in the format of a documentary so i guess an argument could be made. It just seems like if we are going to include this in the doc section of the video store (which is where in is in my local store) then we also have to put This is Spinal Tap there as well. Thank you JB I have always been drawn to this DVD in the collection in the library, now I have had a bit of a push to finally rent it out!